Myeongdong, not only famous as a shopping place in Seoul. 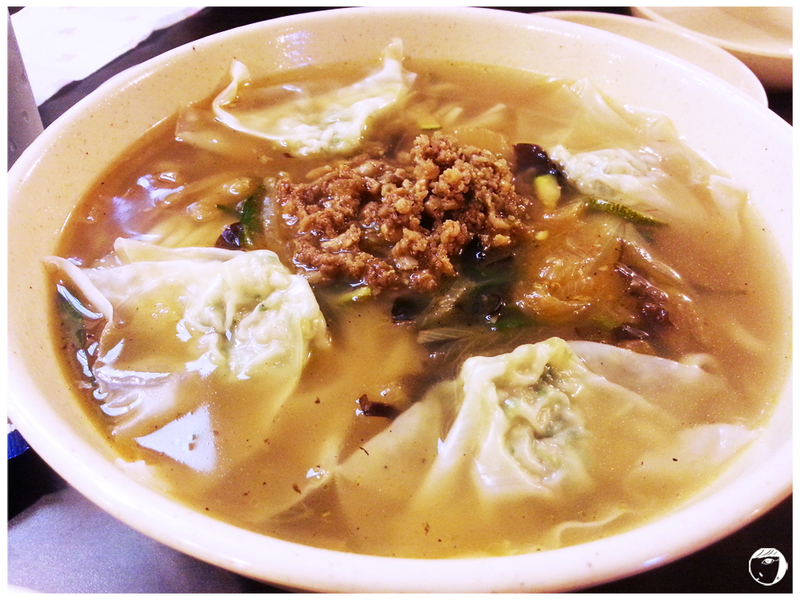 But it is also the spot where we can find the famous kalguksu noodles that one should not miss. 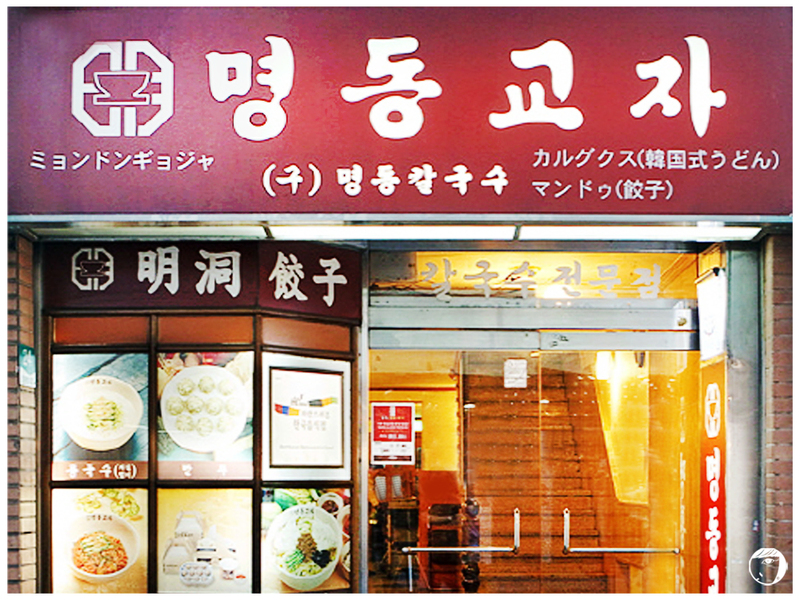 Myeongdong Gyoza is known for their knife-cut, handmade kalguksu noodles / 칼국수. For K-drama lovers, the shooting of ‘You’re Beautiful’ took place at the restaurant. It was the scene when Go Mi Nam (Park Shin Hye) ate the kalguksu noodle 칼국수 and toured around Myeongdong to wait for Hwang Tae Kyung (Jang Geun Suk). There are still queues although they open 2 outlets. Thanks to their efficiency and sitting arrangement system, the queuing time was shorter than I expected. They only serve 4 kinds of food in their menu and three of them are noodles. But don’t get it wrong, all are their specialities that make you want to come back again. Most people order the kalguksu 칼국수, a combination of handmade noodle and garnish, served with dumplings in a thick chicken broth. Tastes really good if you mix with their special homemade spicy with strong garlic-taste kimchi. Although one could finish one generous serving of kalguksu 칼국수 alone, I have to share the portion. 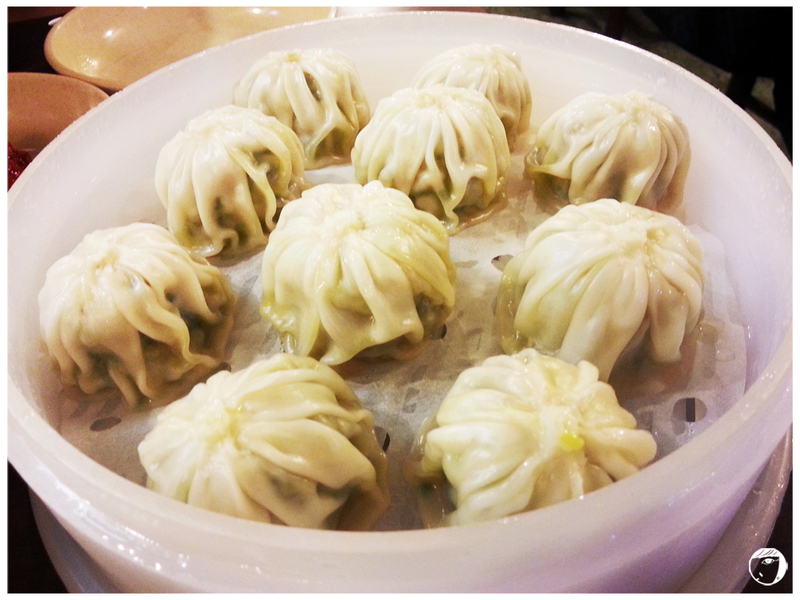 Another special delicacy that one should try is their mandu (만두) or steamed dumpling. I really love the dumplings. The soft-skin dumplings are stuffed with pork, vegetables, leek and sesame oil. One serving comes with 10 pieces of fat steamed dumplings. The dumplings goes really well with the dipping sauce made of soy bean paste, green chilli, vinegar, and spring onion. If you want something cold and spicy, try their bibiimguksu 비빔국수. 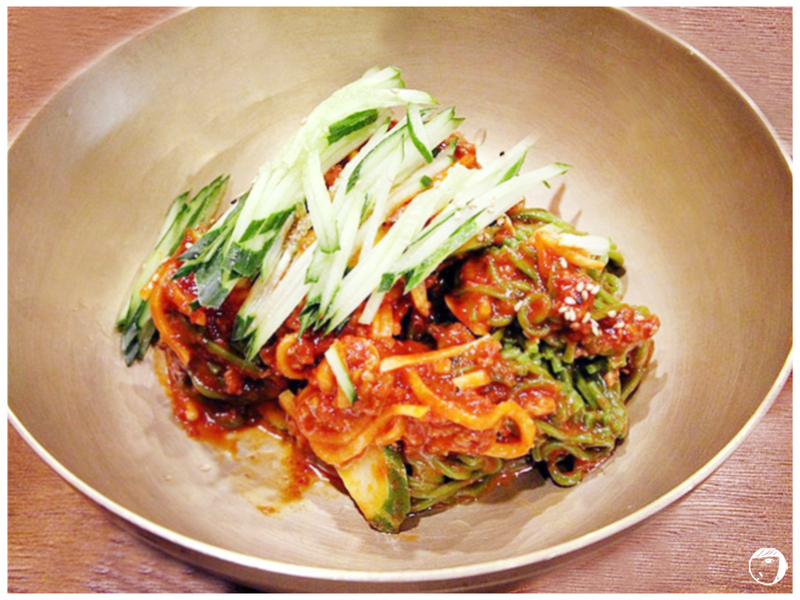 Bibiimguksu 비빔국수 is buck-wheat noodle mixed with sweet-sour sauce, usually served with cucumber slices. The cucumber gives an extra of crunchiness that enhances the overall texture of the noodle. Although it tastes good too, but still coming to Myeongdong Gyoza is not a mission-accomplished without having a portion of kalguksu or dumplings. Need to replenish your energy with nice food before continuing shopping? Myeongdong Gyoza will be the place! – There are 2 outlets along that small street, just keep watching on your left and right. One is located opposite of the M Plaza Building and another one is further down, almost near to the end of the small street if you walk towards the direction of the big Olive Young Store.